published in Christine Guillebaud (ed. 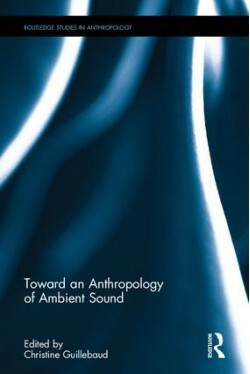 ), Toward an Anthropology of Ambient Sound, New York and London, Routledge, Routledge studies in Anthropology (series), 2017, p. 134-152. This chapter is written by Vincent Battesti, but part of this particular research is done with Nicolas Puig. The sound dimension of is an essential component of the appreciation of a Cairo neighborhood by its users. The ethnography of sound ambiances received and produced in Cairo (Egypt) must first of all be methodical. To get closer to Cairenes’ everyday experience of the city sound ambiances, and to deal with one of the major difficulties of working on sensory experience as social anthropologists, an original experiment is under way. Various inhabitants made a georeferenced routine trip equipped with binaural microphones. The goal is for users of public space to put sound events or soundscapes (be they received or produced) into words, for a better understanding of specific markers of sensorial universes. This article has been read 9151 times. Dernière mise à jour de cette page le Thursday 10 May 2018 à 8:12:33. //// -----> Citer cette page? Vincent Battesti, "Mics in the ears: How to ask people in Cairo to talk about their sound universes" [en ligne], in vbat.org anthropoasis, page publiée le 19 May 2017 [visitée le 25 April 2019], disponible sur: http://vbat.org/spip.php?article662.